All graduate admissions are administered by the Deanship of Graduate Studies (DGS). Candidates who intend to enroll in graduate programs at the University need to submit an online application available on the website of DGS on the link official website . The online application is available only during the application periods according to the posted application deadlines on the link official website . The graduate admission is open twice a year for the two semesters: The Fall Term (usually starting in September) and the Spring Term (usually starting in February). 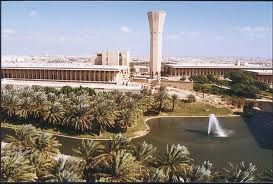 KFUPM-MIT Collaboration Center on Clean Water and Clean Energy (official website). National Center of Research Excellence on Nanotechnology (official website). National Center of Research Excellence on Renewable Energy (official website). National Center of Research Excellence on Refining and Petrochemicals (official website). National Center of Research Excellence on Corrosion (official website). Center in Development on Transformative Research in Petrochemicals and Polymers (official website). Center of Excellence on Maintenance (official website). Center of Excellence on Supply Chain Management (official website). If there are any questions or further clarifications are required, please feel free to contact the Deanship of Graduate Studies at gs-admissions@kfupm.edu.sa or Telephone: +966-3-860-2800, or check our website. Demikian kami sampaikan tentang Master and PhD Scholarships, King Fahd University of Petroleum and Minerals, Saudi Arabia semoga informasi tentang Master and PhD Scholarships, King Fahd University of Petroleum and Minerals, Saudi Arabia ini bermanfaat.